"Nature is not a place to visit. It is home". Connectivity: Wifi - None, Mobile coverage - good. 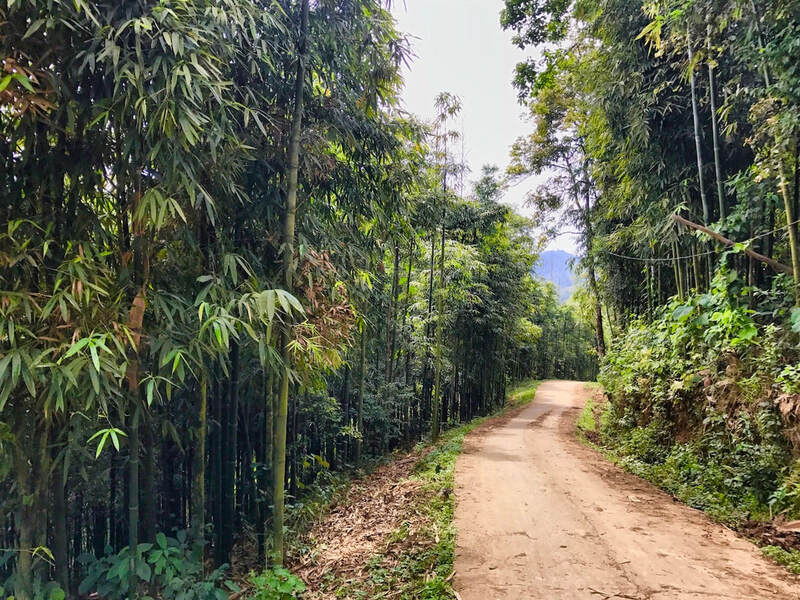 Located at the far South-East tip of the Muong Hoa Valley, this trek is about an hours drive from Sapa, but the journey time is certainly worth it. This is a unique walking experience and incorporates some of the most remote and untouched villages in Sapa District. The trek begins in Nam Cang village and winds through a cluster of Hmong and Dao Villages nestled amongst some of the most spectacular rice terraces in all of Vietnam. This is a quiet route, with extremely few visitors. The trail is fairly stable with no very steep or rocky inclines. Many of the Hmong and Dao families in this valley are quite reserved and unfamiliar with western visitors, so cultural sensitivity is essential. There are few amenities along this walk, so be sure to pack everything you need. Be aware that during foggy and rainy periods, trails around Sapa are often muddy and slippery. Walking shoes with good grip are essential. We believe that trekking is all about discovery and access to the most exciting villages may involve steep inclines and clay slopes. Access to the cave involves a small climb down and may not be suitable for everyone. Part of the experience fee is used as payment for the host family. The Muong Hoa Valley walk is also available as a homestay option. Community based tourism is tourism in which local residents (often rural, poor and economically marginalised) invite tourists to visit their communities with the provision of overnight accommodation.